How many different formulas of Tea For Two are there and what are the differences? Thread: How many different formulas of Tea For Two are there and what are the differences? Re: How many different formulas of Tea For Two are there and what are the differences? I'm far from an expert on these matters, but I've owned both bottles (currently own the newer one in the second photo). I didn't notice much difference between them at all. Maybe the older bottle had slightly better longevity, but I can't be sure about that. 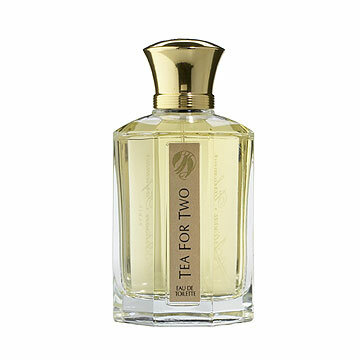 A great fragrance, which I enjoy for its honeyed tobacco note and black tea vibe. I've had a few people tell me it smells a bit 'odd' over the years. I tend to enjoy wearing this one at home. It's more of a 'zen' scent than a 'night out' fragrance to me. I tried the old version, and found it similar to Luten's Five O'Clock Au Gingembre in spirit, but I'm not a fan of either to be honest. PS: if you want a nice green tea note as a foil to orange flowers, try to get a sample of Carven Paris Séville. My bottle looks like the one below and I have tried the one that you inhaled from the decant which came from the bottle in the picture. I didn't notice any difference in scent or performance. Thanks folks. So they've rebottled the juice thrice it seems? Glad to hear its still the same. I tried both bottles as pictured and the differences were minimal. The first bottle you listed had better longevity when I tried it many years ago.